Have you considered using flowers not just in design, but as an art medium? As florists, we use flowers for designing arrangements for customers’ everyday events and milestones, but have you thought about designing as a floral artist and creating beautiful artwork? 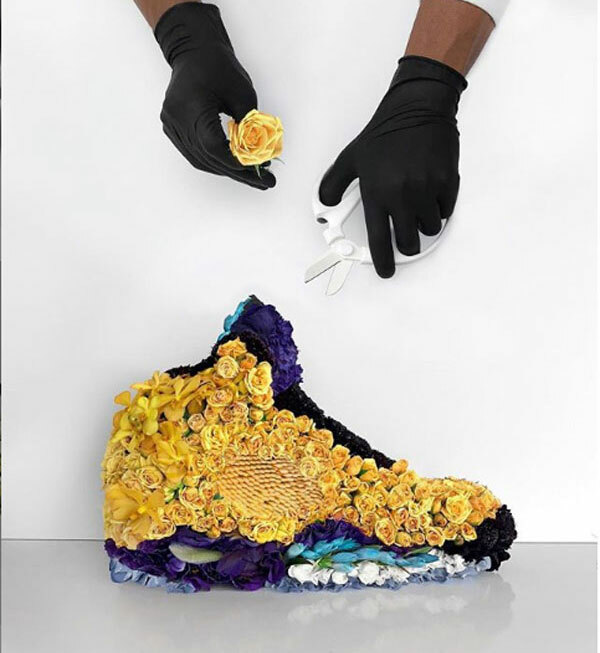 One artist who uses flowers as an art medium is Mr. Flower Fantastic. 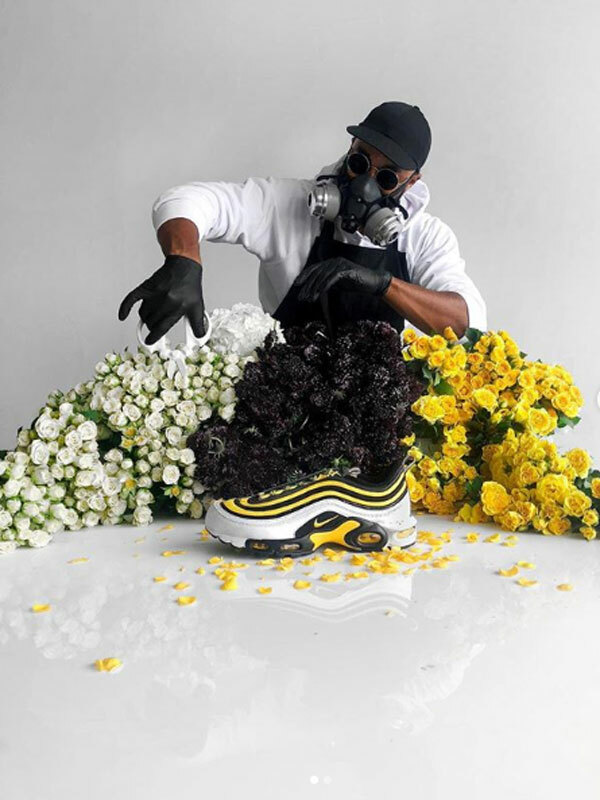 His floral art can be seen in magazines, art galleries, on Instagram, and more. Mr. Flower Fantastic wears a mask and gloves, but not to hide his identity—it’s essential for his health. He is highly allergic to flower pollen, which goes to show that if you have a passion for something, nothing should stand in your way. Mr. Flower Fantastic’s hidden identity allows us, viewers, to focus more on the art piece rather than the artist, a technique used by other artists like Banksy and Daft Punk, going all the way back to Homer. All of the flowers used in Mr. Flower Fantastic’s art pieces are real flowers found locally, nationally or internationally. All the flowers used in each art piece are natural pigment. When it comes to flowers as an art medium, Mr. Fantastic has an idea of what flowers he wants to use for his designs before heading to the local flower market. However, depending on the season some flowers may not be available and he has to rework is original plan on what is available at the market or another flower may stand out more compared to his original vision. Mr. 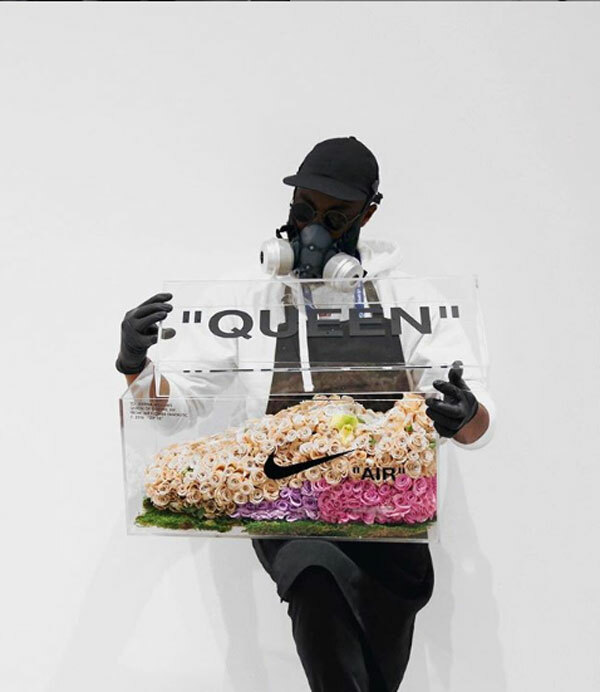 Flower Fantastic made waves a few years back when he turned Serena Williams’ Air Max 97 into a floral showstopper during the U.S. Open. 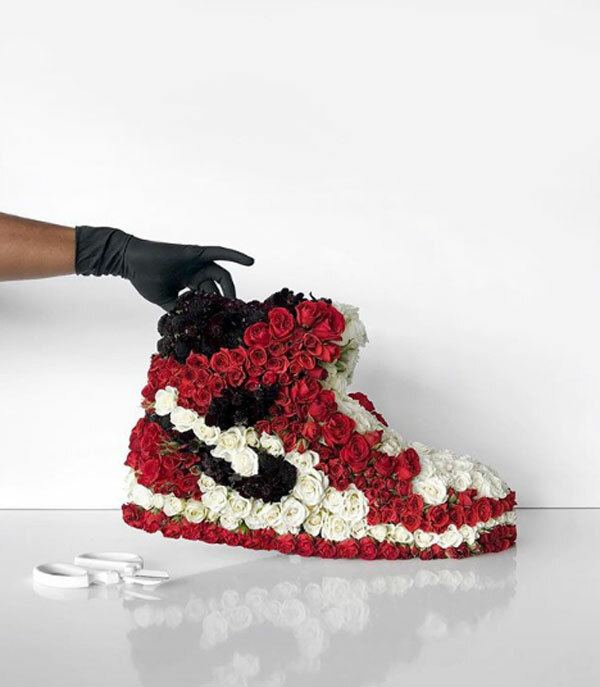 Since then he has been creating shoe masterpieces out of flowers. 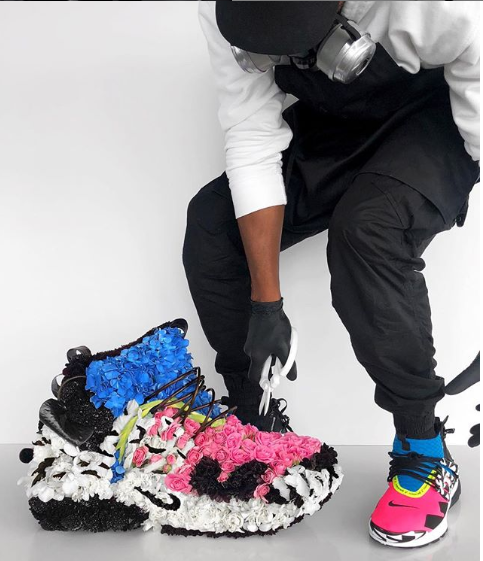 Not only does he do designer shoes but also floral art of our favorite logos, and icons working out of his New York Space. Not only does Mr. Fantastic share his beautiful work online, he sometimes leaves his arrangements in random locations in New York and other cities by creating kind of a treasure hunt for his Instagram fans, offering clues through his Instagram stories. Florists, what fresh and innovative ways are you taking on with the classic flower arrangement? Leave us a comment below!